Another new month, another new Technique Video! This time I have a new stamp set from Beccy Muir, Snow One Like You and it is adorable. Take a look! 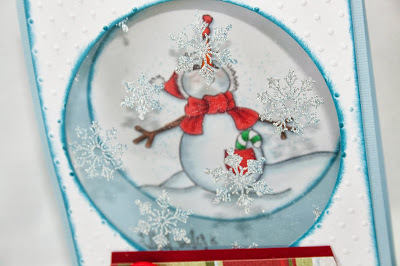 This month you will learn how to emboss on Sparkle N Sprinkle's Embossable Acetate using a new blend of embossing powder that I created especially just for this card! It's my favorite winter blend of Blue and Silver and it's called Blue Silver! It's a detail ep and works great with the fine lines of the snowflakes and the sentiments. 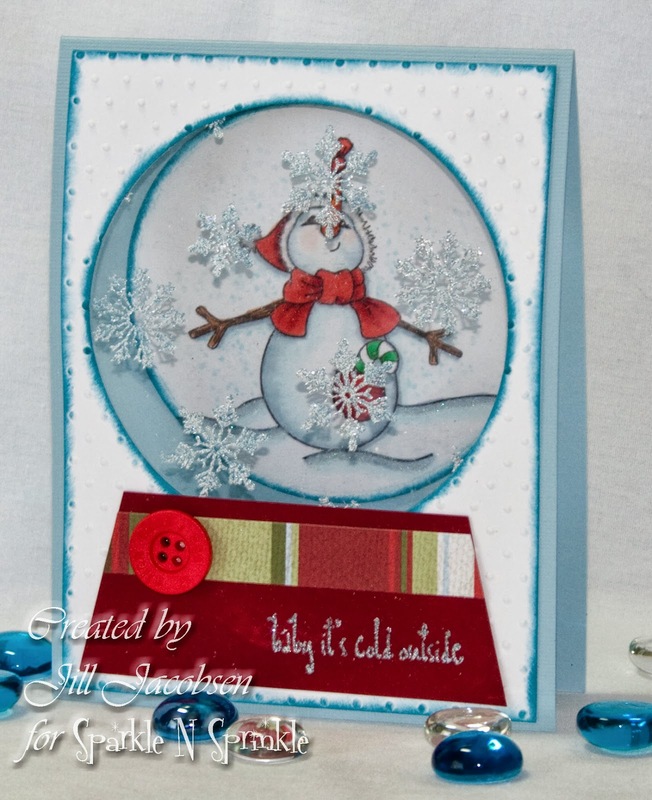 You can join the Technique Club here to receive the supplies and cardstock to make 5 of these beautiful cards here. I also made a video on how to color the snowman with Copics. A lot of people think that since the snowman is white it doesn't need colored, but that's not the case! White has color...check out the video here. Sparkle N Sprinkle is releasing a cute little “Snow One Like You” stamp set created by artist Beccy Muir with the prettiest, daintiest little snowflakes. We are also releasing our Flourishes One stamp set, by artist Rosiland Solomon. Jazzy Jill is debuting October’s Technique Video kit, using the “Snow One Like You” stamp set. To win the “Snow One Like You“ rubber stamp set and an embossing powder and a glitter, please join us with our 2nd Mystery Designer Party! Whose blog contains the prize? On one of the participating blogs below, a Commenter will be selected through Random.org to receive the prize. Snow One knows who the Mystery Designer is, so you may wish to visit each Sparkle Team Member’s blog to leave a comment. A shared Reveal Day with artist Beccy Muir and her fabulous designers so you can gain even MORE wonderful ideas in using this sweet set! To see what Beccy’s digi team has created using these images, please click here. 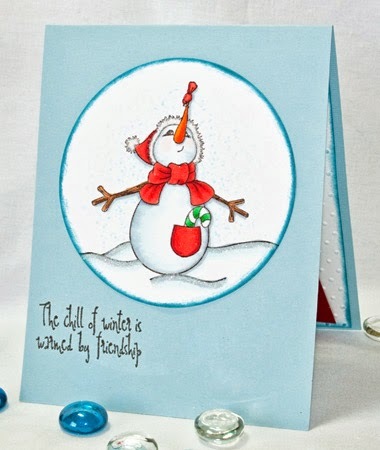 This darling Snow One Like You set #515 and the pretty Flourishes One set #516 are available at 20% off as part of our Snowy Day specials. Just use the code SNOWONE20 in the COMMENTS SECTION when checking out in the SNS on-line store to receive these brand new sets at 20% off. Promotion valid through October 3. (sorry, credit card customers only. Total will be manually adjusted. Or phone the SNS shoppe during normal business hours and ask for your discount).